Prince Sultan Military Medical City in Saudi Arabia is one of the most advanced medical centres in Medina. Located 20 kilometers from the city center and easily accessible to the general population. The Medical Center was officiated by King Khalid bin Abdulaziz in December 1978 and since then the center has grown tremendously to accommodate the growing population and their needs, and to further enhance the quality of patient care. It now contains a capacity of about 1200 beds and a workforce of more than 1000 employees. In August 2016, the hospital was looking to switch its employee time and attendance system from manual to automatic using biometrics technology. Upon consultation from FingerTec’s major distributor in Saudi Arabia, ITQAN Fingerprint Co., Prince Sultan Military Hospital chose to deploy 35 units of FingerTec AC100C to administer the hospital employees’ attendance. Systematic and effective administration of workforce is crucial in managing a large operation like Prince Sultan Military Hospital and major problems with manual attendance such as tedious manual data input, inaccurate attendance recording, and ‘buddy-punching’ occurrences could affect operation and employee’s productivity if it’s not being well taken care of. 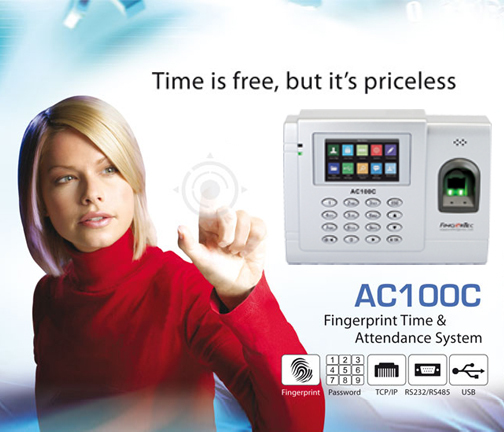 FingerTec AC100C provides an accurate method of attendance collection with fingerprint technology, while TCMS V2 stores all time transactions for calculation and reports in one centralised system. Having FingerTec solution for time and attendance has helped the hospital a lot in workforce management and ITQAN has secured yet another satisfied customer to add to their list of prominent clients nationwide.